It might surprise those people who associate Mark Warner holidays solely with families that around 40 per cent of the company’s business comes from singles, groups of friends, and couples. 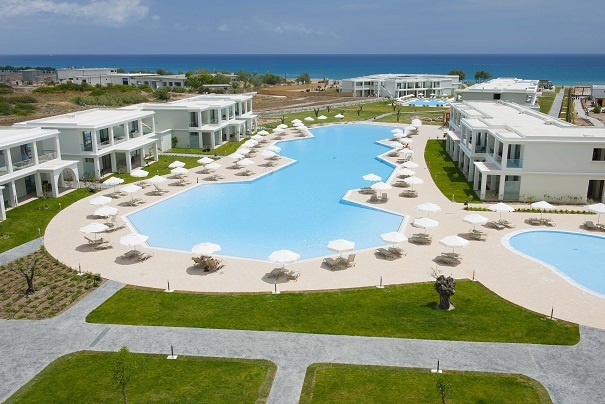 And now the firm has expanded its adult-friendly Club Mark Warner weeks, of which there are two each year, by adding more events and excursions at its five-star Levante Resort on the Greek island of Rhodes. Such is the popularity of Club Mark Warner holidays among those who have heard of them that the flight to Rhodes were full of cries from passengers who recognised people from previous Club weeks. It made for a very friendly atmosphere right from the start. There were about 80 people ranging in age from their 20s to 50s on the Rhodes week, half of whom were returning visitors. Save £100pp on one-week holidays when travelling in July or August or £50pp when travelling on May, June, Sept and October. Use code ‘100Sun’ for July and August holidays or ‘50Sun’ for all other dates. Save £200pp on two-week holidays when travelling in July or August or £100pp when travelling on May, June, Sept and October. Use code ‘200Sun’ for July and August holidays or ‘100Sun2’ for all other dates.